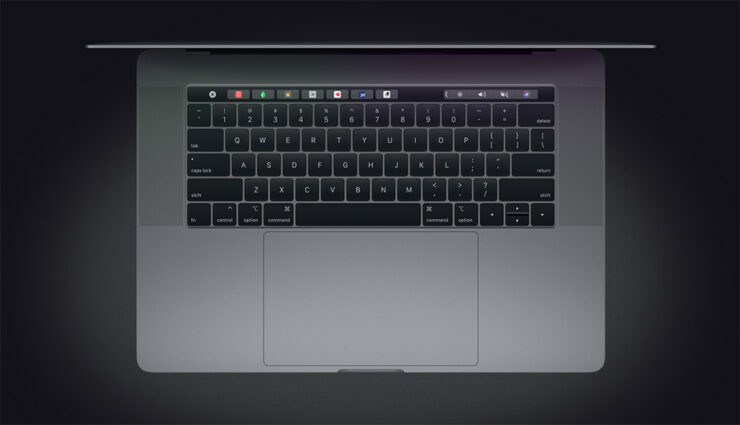 The arrival of the new MacBook Pro 2018 models include the new 13-inch and 15-inch models, and you can configure the machines to tout up to a 6-core processor with 32GB of DDR4 RAM and a 4TB PCIe NVMe SSD. While the performance of these machines will be unlike you’ve ever seen in a MacBook Pro ever, the responsiveness of these notebooks is all thanks to the new and improved storage found inside their premium aluminum chassis. Benchmarks were carried out on the new MacBook Pro 2018 models and you can only guess which product ended up taking the crown. 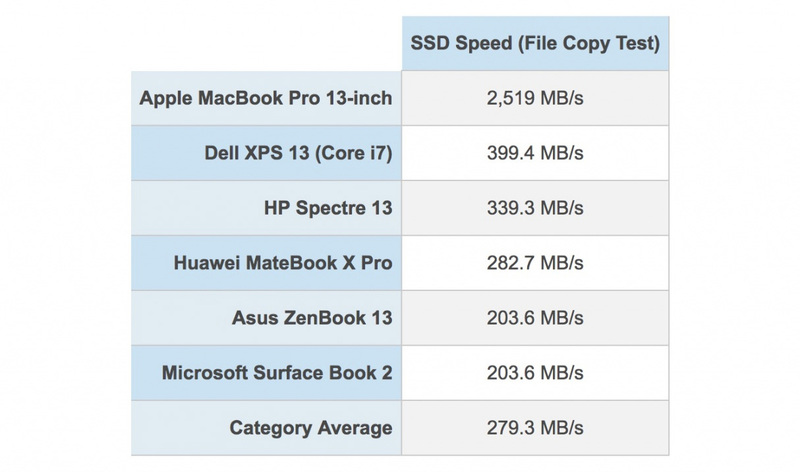 Using the BlackMagic Disk Speed test for macOS, the MacBook Pro was able to achieve an average write speed of 2,682MB/s. Those speeds are absolutely phenomenal, which only means that applications installed on the app will fire up instantly. Third-party SSDs like the Samsung 970 EVO are often installed in ultrabooks that feature an M.2 SSD slot and that support the NVMe standard to make the notebook more responsive than ever. The second-fastest notebook in the benchmark was the Dell XPS 13 armed with a Core i7 chip, but it only managed write speeds of 399.4MB/s. This would mean that the notebook features a regular SSD utilizing the SATA III interface rather than the PCIe NVMe standard that expensive notebooks feature. This also means that the 13-inch MacBook Pro should become a daily driver for a lot of power users who do not want to spend the extra money on the 15-inch MacBook Pro, which starts from $2,399. It should also be noted that the MacBook Pro 2018 lineup features a minimum of a quad-core processor, so you will definitely be able to get content creation work done on these products while you are on the go. If you want to check out the pricing differences of these machines, you can click on the link below if you are thinking about upgrading.